Sign up for Broadjam today to follow PHILLIP SOLOMON STEWART, and be notified when they upload new stuff or update their news! 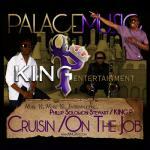 Two disc album: CRUISIN is the smooth jazz side of the album and ON THE JOB is the hip hop/pop side of the album. 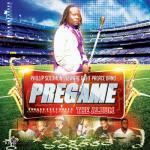 Album has the works of Phillip as a solo artist and as well as the works with his band, the PALACE. 2-disc album of Smooth Jazz & Hip Hop for every occasion!!!!!! 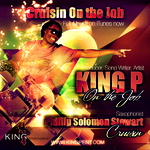 CRUISIN/ON THE JOB showcases the originality, creativity and innovative musical expressions of the Saxophonist, Music Producer, Artist and Songwriter in PHILLIP SOLOMON STEWART, aka KINGP. Artist drives a 1991 Cadillac and gets attention around town for it; therefore, used it and created a jazz instrumental song to compliment.